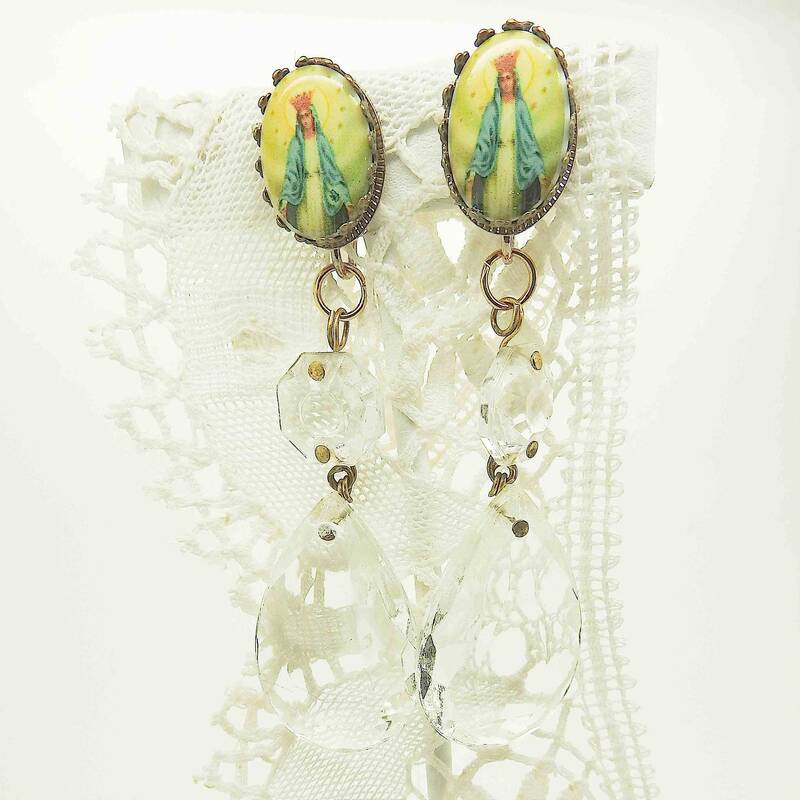 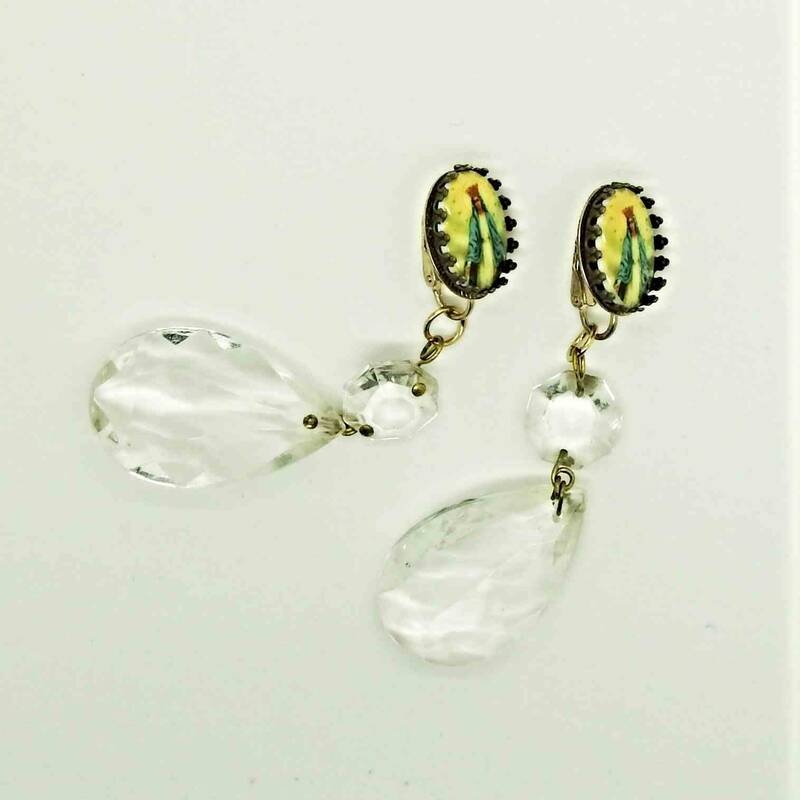 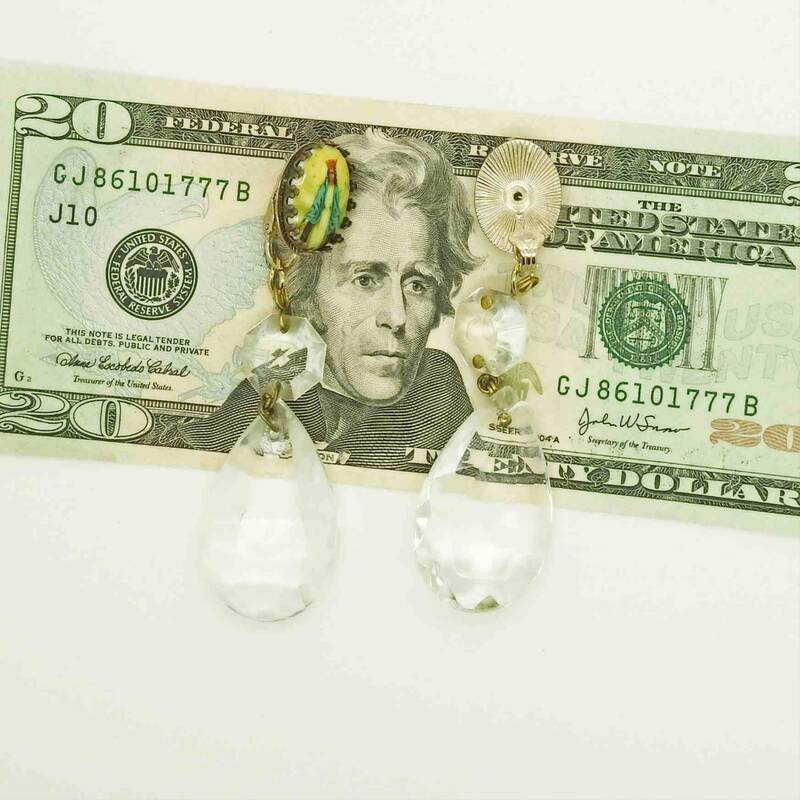 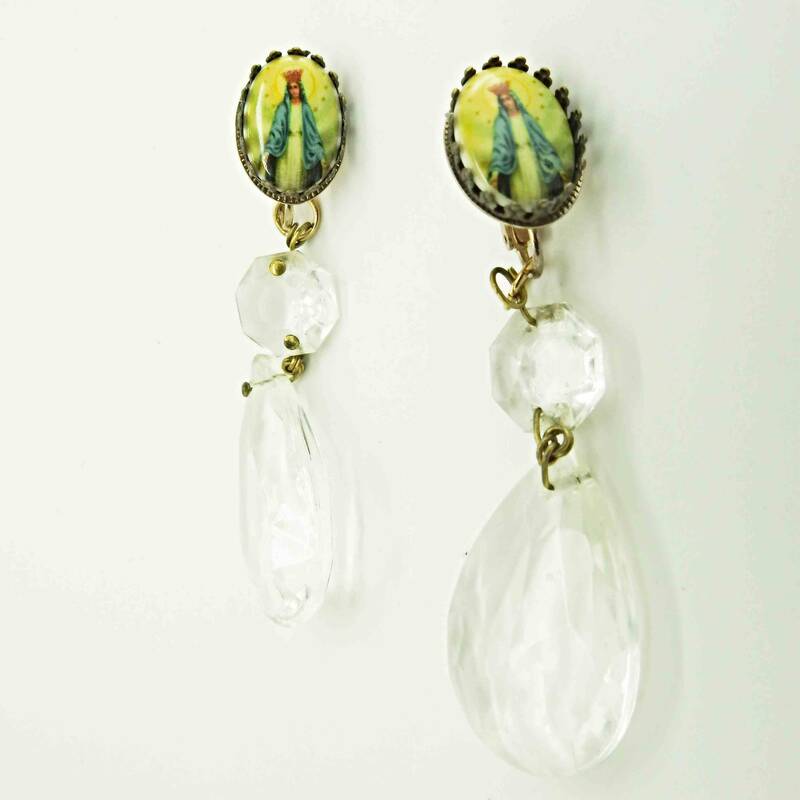 You like large drop religious style crystal statement earrings and sacred jewelry, you cannot go wrong with this vintage style artisan holy earrings! 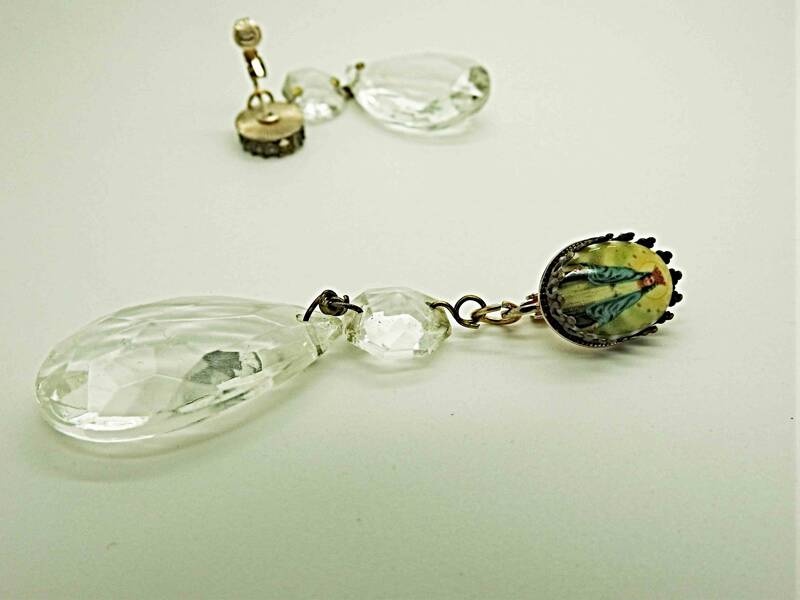 ● Made from authentic cut crystal drops for a chandelier, from Canada & blessed virgin mary statue vintage style cabochon, from the USA. 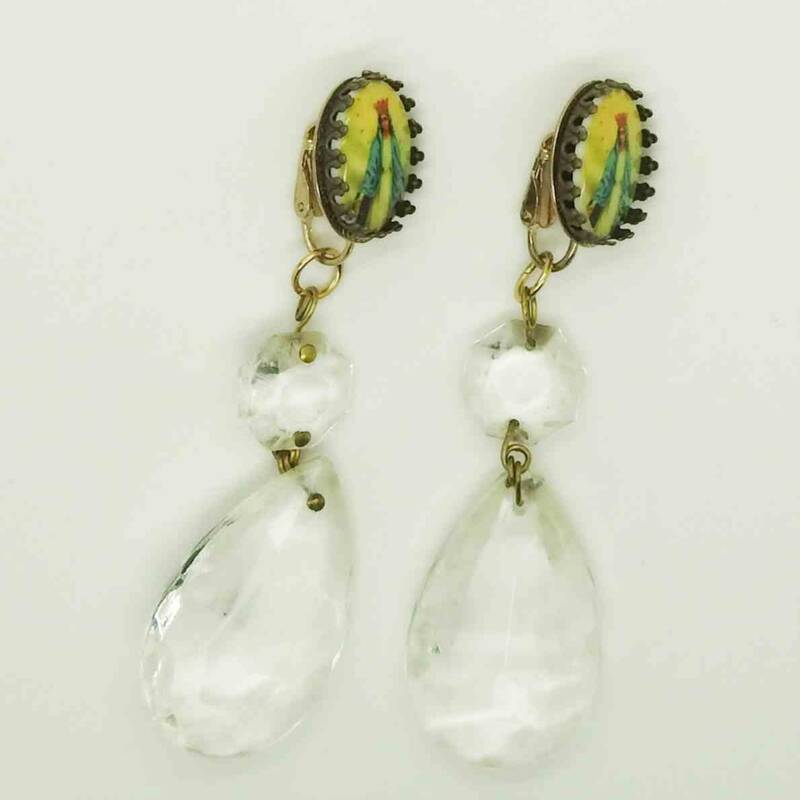 ● Closure: Clip-on earrings. 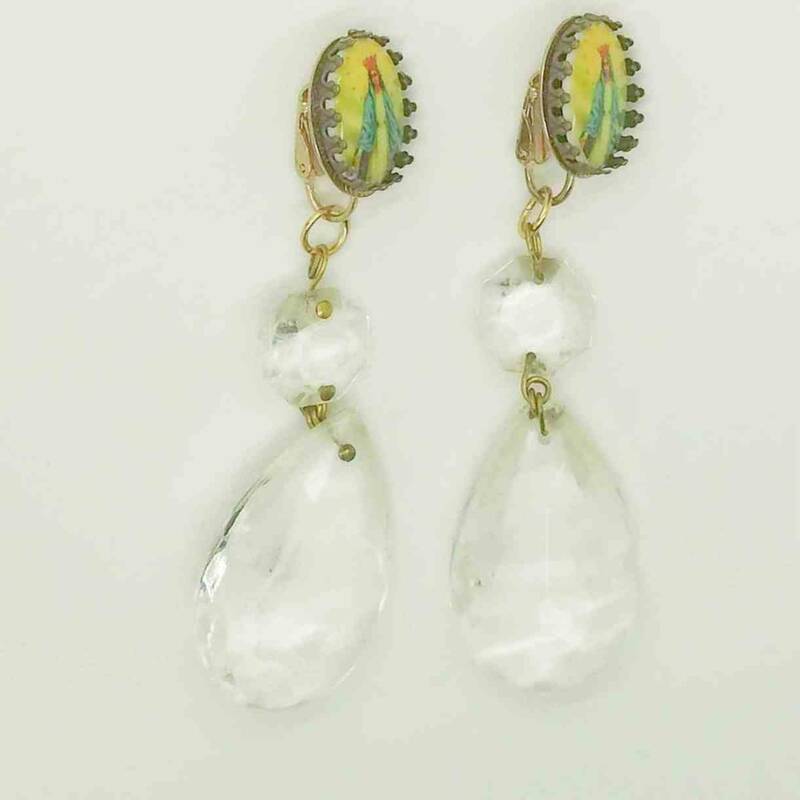 I wore these earrings for a few hours and they are very comfortable. 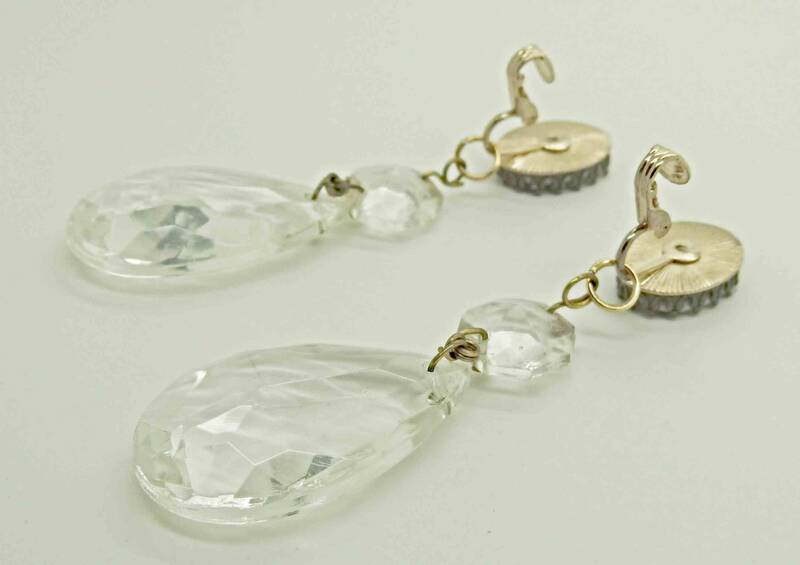 ● Lenght: 8 cm / 31/2 in. 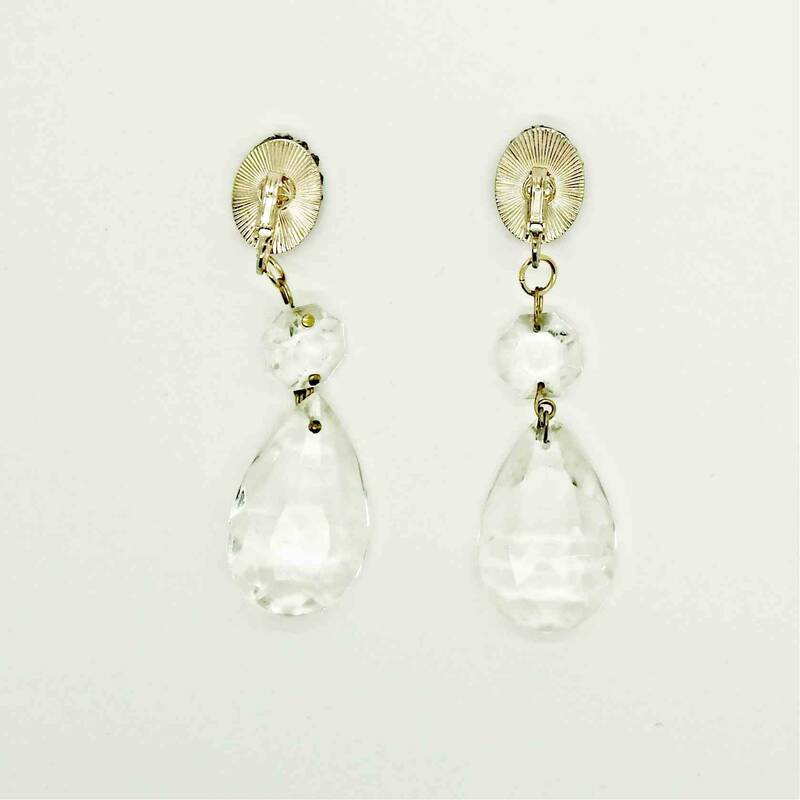 ● Width: 21/2 cm / 1 in. 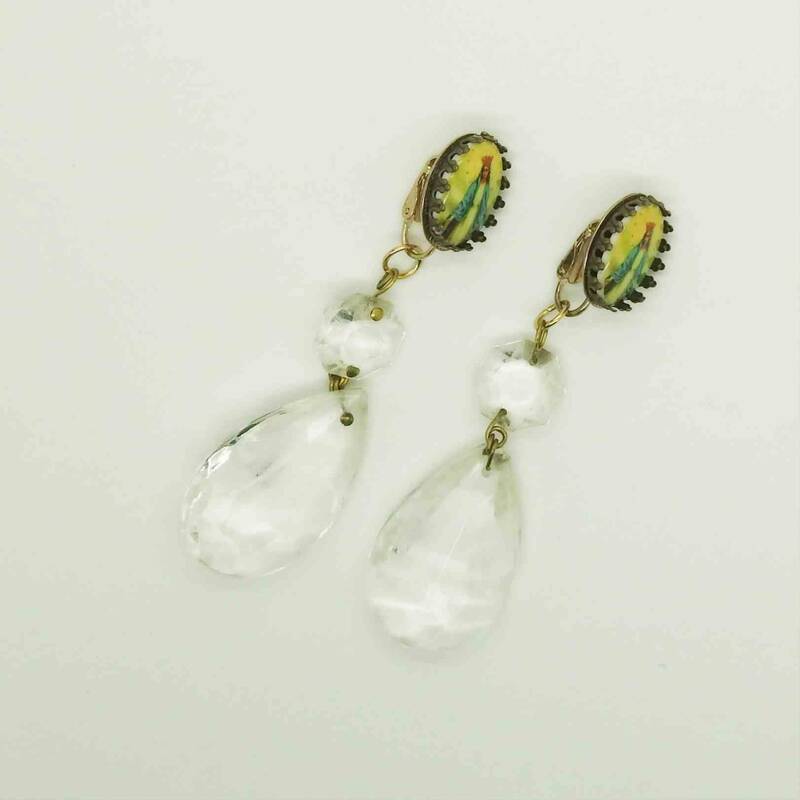 ● Weight: 0.015 gr for one earrings.